We’re into our second year of projects to look at the night sky in something other than traditional visible light. 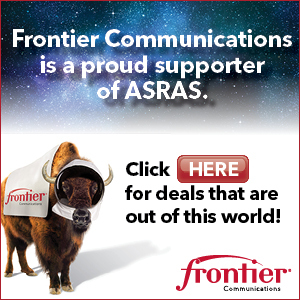 2014 has seen three colleges now involved with ASRAS Radio Astronomy Projects! We’ve been able to so far involve 15 students from Roberts Wesleyan, University of Rochester, and Rochester Institute of Technology. The specifics of this task are to build a computer controlled, motorized, RA & Dec mount for the 7′ dish driven by our ‘Radio Eyes’ software. Design effort has been rather busy & intense. We are just entering the machine shop to build part of the hardware mounts & decided to relocate the entire unit to the RIT model shop to enable fit/form of the hardware pieces. This was much better than making a trip out to Ionia every time we need a critical dimension or piece part. The spectrograph receiver is working great under automated computer control, we are able to generate an FFT of interested frequencies (45 – 890 Mhz) every 15 min! We’ve also sampled the RF environment in Ionia to begin identifying potentially interfering emitters. I will report on that next month.